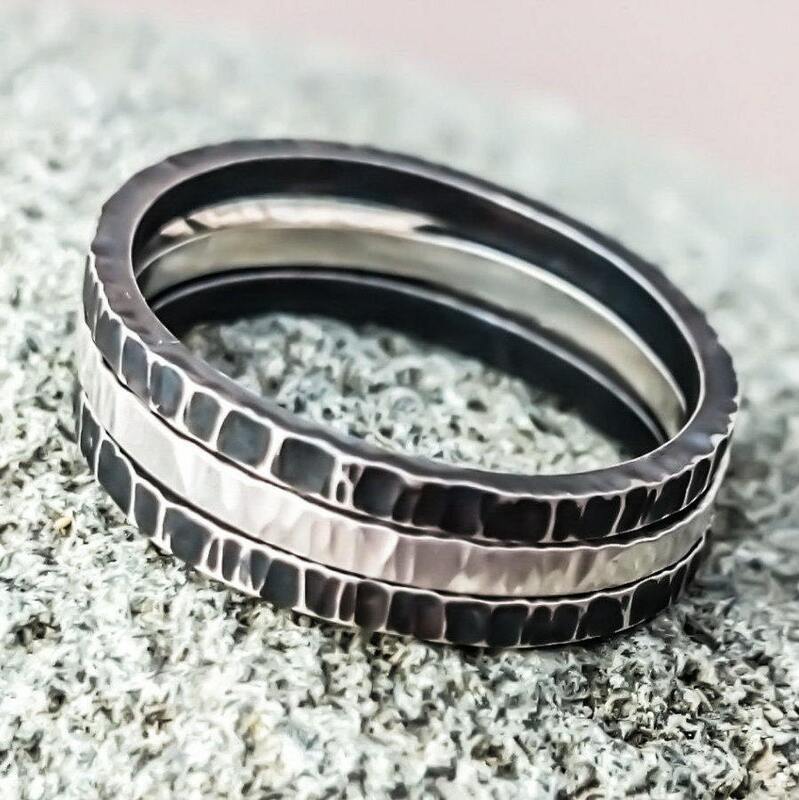 This set of three stacking rings are handcrafted using eco friendly recycled sterling silver. 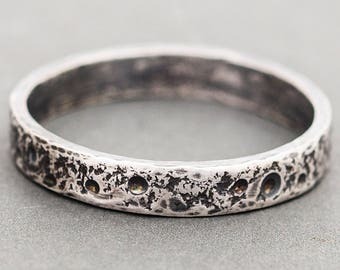 The textured finish is created using a jewellers hammer that was gifted to me, having already had several lives before, with both jewellers and teachers. I love old tools with a history, and they are a joy to use. Made to reflect the bark of my favourite tree, the sheoak, they can be oxidised to bring out the patterns I created in the surface, or they can be polished to a brilliant shine, or a combination of both as shown in the images. Each ring is made with 2mm (5/64") square wire. If you would like a combination of both polished and oxidised, please convo me and let me know your preferences. These are made to order so PLEASE convo your desired size. Also please convo me if you need assistance with your sizing. I am only too pleased to help.